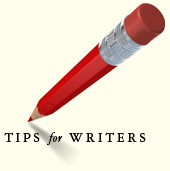 Because of the lists, I am frequently asked for advice as to where a particular writer should submit his or her work. Without seeing the work, of course, it’s almost impossible for me to give reasoned advice, and I certainly don’t have time to look at others’ work to make that judgment. But I thought it might be useful to give some general tips related to this issue. Beginners, especially, might find it helpful. 1. Tiering. I created my ranking system so I could submit to magazines that are roughly equal in stature. If I’m going to send out five submissions at a time, I want to make sure that an acceptance won’t lead me to have to withdraw from a far superior magazine. So I aim high on the list, and as the rejections inevitably roll in, I’ll move to the next tier down. 2. Reading Journals. This should go without saying, but the advice is often ignored. Before you submit to a journal, you should read at least one issue. Easy to do if it’s an online magazine, a little harder if the journal is print only. But really the only way to know if your work is suitable for, say, Tin House, is read Tin House. Most journals do publish realistic fiction in contemporary settings, so if that’s what you write then you have a lot of options. But if you’re writing science fiction, your options are more limited. Read magazines to find out what their range is. 3. Follow the Guidelines. Always, always, always review a particular magazine’s submission guidelines to see what they’re looking for in terms of format, including word count. Magazines vary widely, so be sure to give them what they want. It’s not that hard, especially in the age of online submission managers. 4. Think outside the list. As wonderful and helpful as my rankings are, they only include a fraction of the magazines you might submit to. For example, I am the editor of Prime Number Magazine, a publication of which I am quite proud. However, because we have not yet won a Pushcart Prize or a Special Mention, my own magazine isn’t on my list of the top magazines. What’s up with that? Especially if you’re interested in online publications–to reach more readers, for example–you need to check other sources, such as Duotrope.com, NewPages.com, and Poets & Writers to find out which magazines are looking for your work. 5. Proofread your work. Wherever you decide to send your stuff, proofread several times. Even if your style and subject matter are perfect for a particular magazine, errors may cause it to be rejected. I hope these basic tips are useful.